Tapestry is the second album recorded by American singer-songwriter Carole King. It was released in 1971 and is one of the best-selling albums of all time, with over 25 million copies sold worldwide; it received four Grammy Awards in 1972, including Album of the Year. The first double sided single from the album, “It’s Too Late b/w I Feel the Earth Move”, spent five weeks at number one on the Billboard Hot 100 chart. In 2003, Tapestry was ranked number 36 on Rolling Stone Magazine’s list of the 500 greatest albums of all time. King wrote or co-wrote all of the songs on the album, several of which had already been hits for other artists such as Aretha Franklin’s “(You Make Me Feel Like) A Natural Woman” and The Shirelles’ “Will You Love Me Tomorrow” (in 1960). 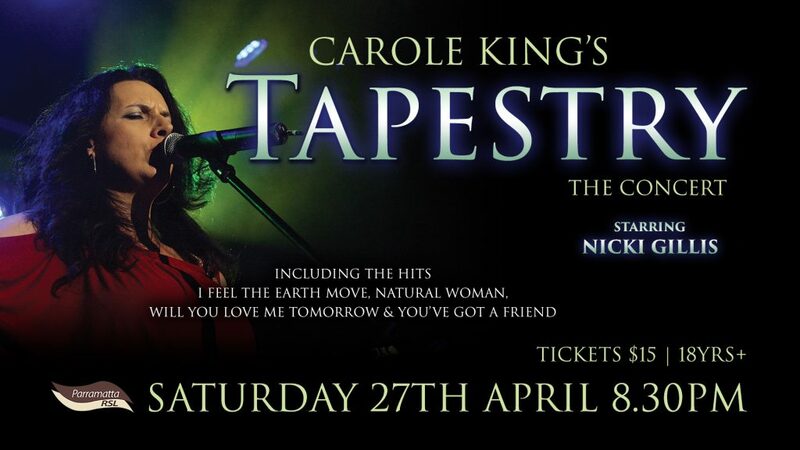 Carole King’s Tapestry In Concert performs this quintessential Carole King album LIVE in a sophisticated, “true to the original sound” format.